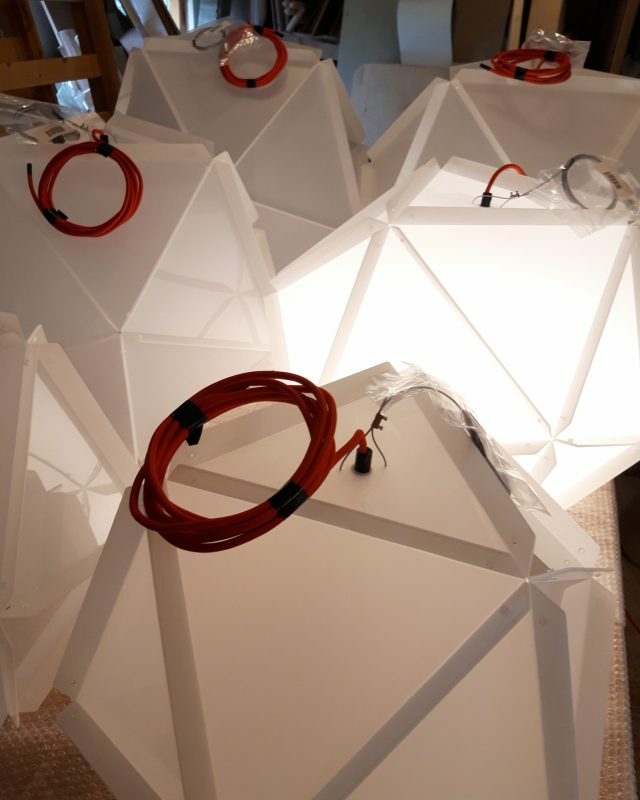 We’ve just completed a special batch of ‘Icosa’ Polycarbonate pendant lights for Overstock Sligo for their new 3rd floor office kitchen area. The 700, 600 & 500mm diameter fittings will suspend from the ceiling in a random layout with accent red fabric cable to match the companies brand colours with matt black ceiling roses, lampholders and suspension fittings. The opal polycarbonate used gives a warm subtle light and does not fade or discolour over time.